A must read if your interested in being more aware of your surroundings. This book was written in a structured way that makes implementing the lessons learned much easier. I'm a police officer and former Marine infantry officer with combat deployments to Iraq and Afghanistan. I wish this training had been available before I went to Iraq in 2004! I intend to access their website, watch the videos, & use my time policing to improve my combat profiling. This book will help me better articulate the reasons I contact individuals and to identify more criminals. I recommend this book for anyone in any tactical or protective line of work. I've supported training with the Marine Corps Combat Hunter course, and Scout Sniper school in North Carolina. This book gives a rough outline of a course that many Marines, Soldiers, and Sailors alike have benefitted from. 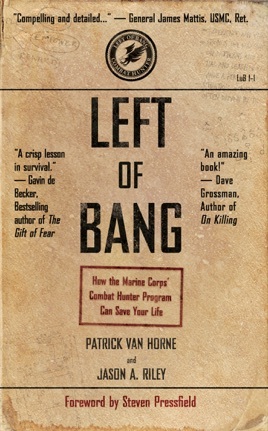 Many say hindsight proved that this course could have saved many who died in the line of duty. This book is not only for service members, but for all those who wish to identify negative events before they occur. Parents, teachers, law enforcement, and even children should learn to identify anomalies in their surroundings to keep themselves aware and safe.